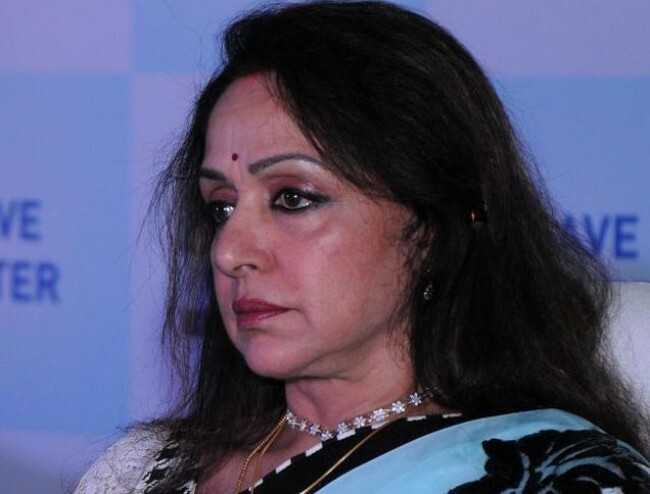 Mathura, June 4 (IANS) Veteran actress-politician Hema Malini has lashed out at media reports and people who criticised her over posting images from a film’s shoot on social media while Mathura was engulfed by violence and tension. She says being a “sincere” person, she is doing her job and feels that people are “diverting attention from the main issue”. A violent confrontation between the police and encroachers on Thursday caused disruption here after 24 persons, including two senior police officers, were killed in firing by encroachers. Hema, who represents Mathura constituency in the Lok Sabha, took to Twitter on Saturday to clarify her stance. In a series of tweets, she wrote: “In Mathura and condoled with the bereaved families. I still can’t understand how the great media thinks the sansad (parliament) is responsible for law and order. After the violence, various opposition parties, especially the BJP, targetted the ruling Samajwadi Party and Uttar Pradesh Chief Minister Akhilesh Yadav over “complete breakdown” of the administration and law and order in the state. She also invited the accusers to visit Mathura and see her work themselves. “I’m dedicating so much time to Mathura. Sometimes it is days before I even see my family or my house. I’m attending to public needs sincerely. “What do I get in return for my sincerity? Brickbats and loud accusations. I sincerely thank all of you who have supported me in this controversy,” she tweeted. Hema was criticised for tweeting details of how convenient it has become to commute between mainland Mumbai and Madh Island, where she was shooting for the film “Ek Thi Rani”. This caused Hema to draw flak as many reacted negatively. The BJP MP then deleted the tweets, and expressed her concern for the situation in Mathura. Hema also posted photographs of her visiting a local hospital “to enquire about the welfare of the injured police personnel”. She also met the family members of Superintendent of Police Mukul Dwivedi, who was killed in the violence.